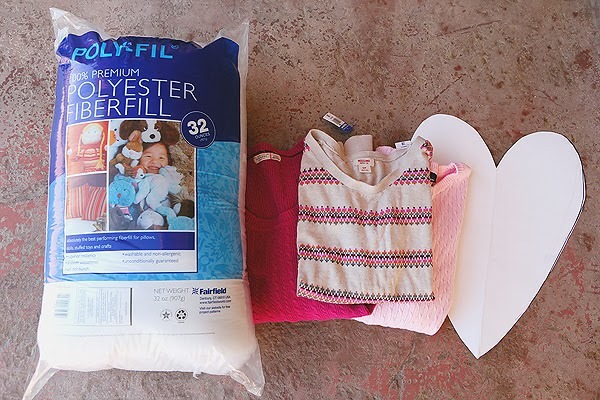 We have a super easy sewing project for you today! to add a little love to your living room. Let’s get this party started…. • First, cut a heart out of poster board to use as a stencil. • Turn your sweater inside out and trace your heart. • Next, (make sure your sweater is laid out flat and the bottoms match up) cut out your heart. • Pin the edges of your heart and sew along the outside leaving a 2 1/2-3 inch space for stuffing. • Turn your heart right side out and begin stuffing. • Stuff until it’s somewhat firm (you don’t want a floppy heart). • Using a needle and thread, stitch up the hole. and to pass them out to all of my friends…. honestly, they take about 15 minutes to make. Just adorable! How cute would these be in a little girl's room? really sweet! did you hand sew or use a machine? they used the sewing machine to sew most of it closed and then hand-stitched the rest of it together after stuffing. So cute!! Perfect for Valentine's Day. What are the dimensions of these??? 🙂 They are adorable! Precious. These are adorable. Thanks for the beautiful idea!! Use walmart bags as stuffing!?! 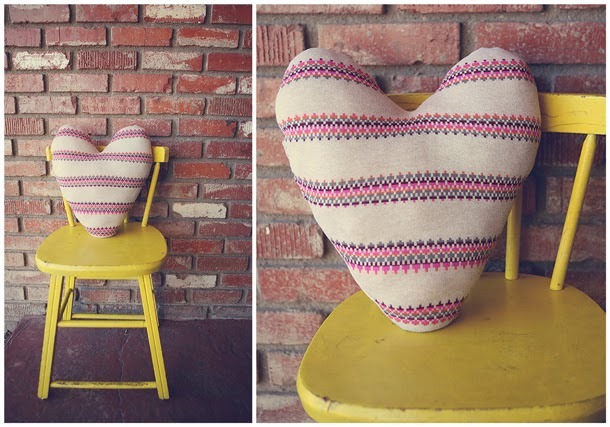 I love this pillow and found it on Pinterest. A group of blogging friends and I are having a Pinterest inspired knock off. 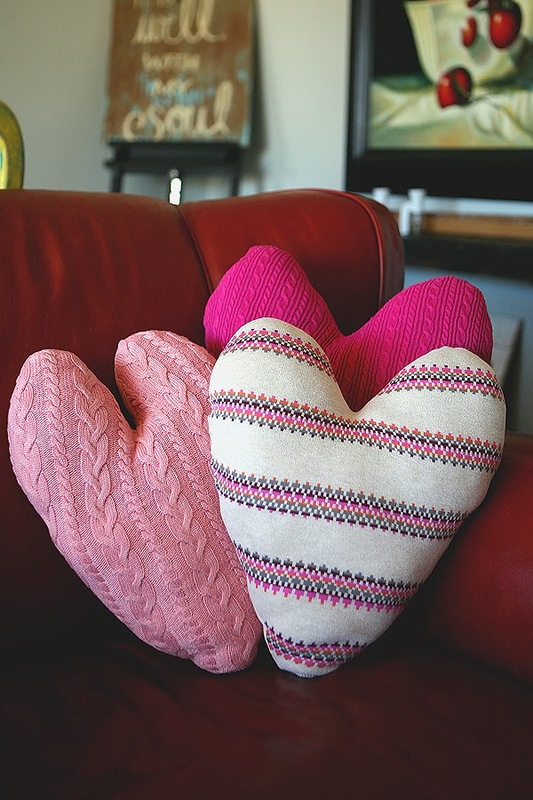 I picked you sweater heart pillow to knock off. Of course, I included one photo that's linked to your post and a text link to the post. 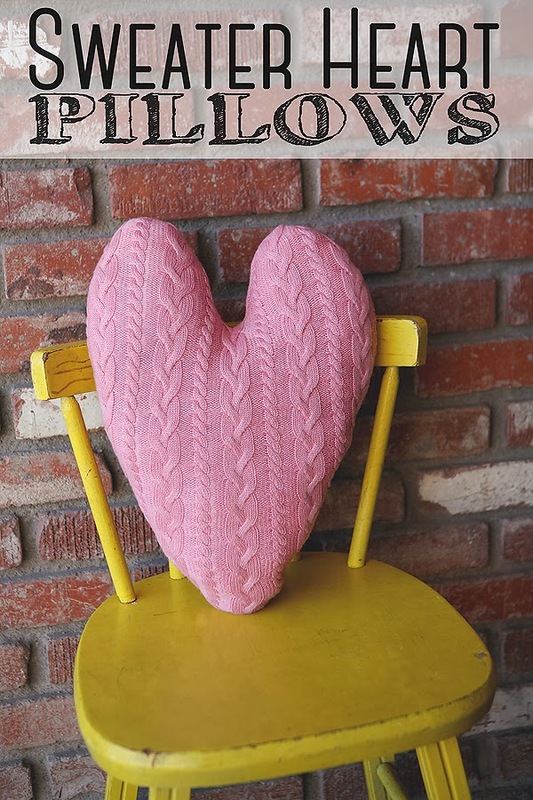 I tell readers to check out the how to make the sweater pillow by click over to your post. My post will go live Monday morning at CountryDesignStyle.com Hope you get new followers! I'm your newest follower! Thanks so much for sharing Jeanette. LOVE the arrow you added to yours! !